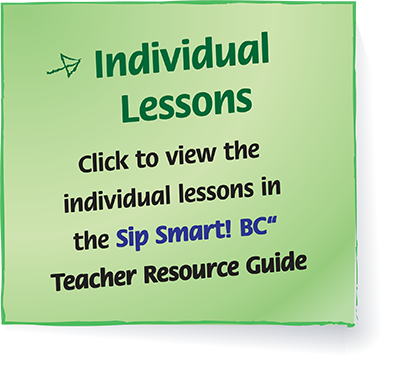 The Teacher Resource Guide (TRG) includes everything you need to teach Sip Smart! BC™ in 3-4 hours. 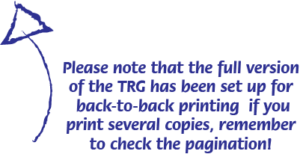 If you choose to download the TRG – or individual resources – there are 2 downloading options. The first is to download the full version (137 pages) and the other is to download by individual lesson (there are 5 lessons in total). 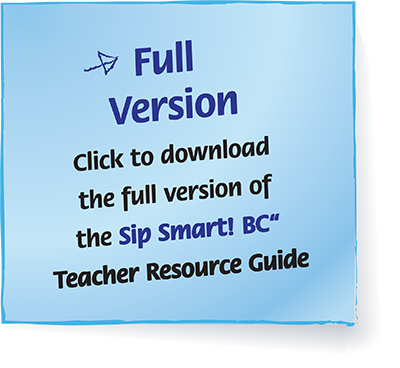 We recommend downloading the complete version to teach the Sip Smart! BC™ program as it was designed. 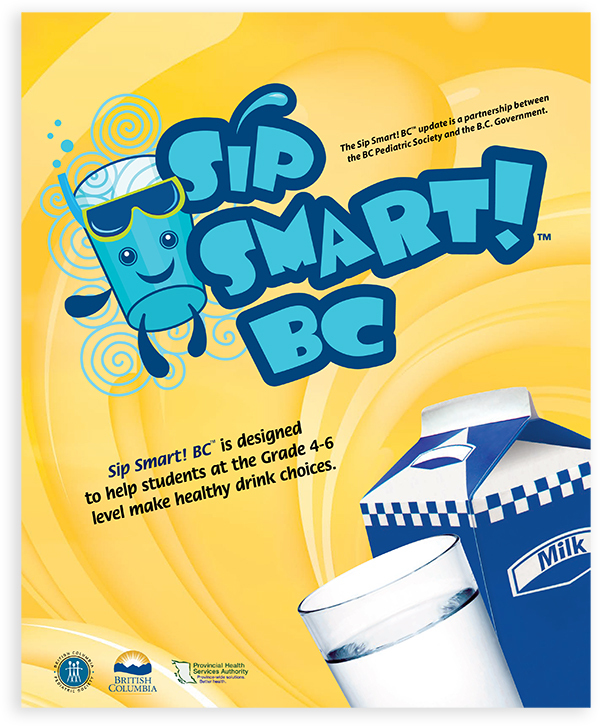 Sip Smart! BC™ (2009) was originally designed to reflect learning outcomes for Health and Career Education for Grades 4, 5, and 6 and touches on other curriculum areas such as Science. Click to view original Curriculum Overview. Sip Smart! BC™ (2016) reflects learning standards for the Physical and Health Education (PHE) for Grades 4, 5, and 6 and some Science areas of the BC curriculum. Click to view Building Student Success: BC’s New Curriculum then click Curriculum.